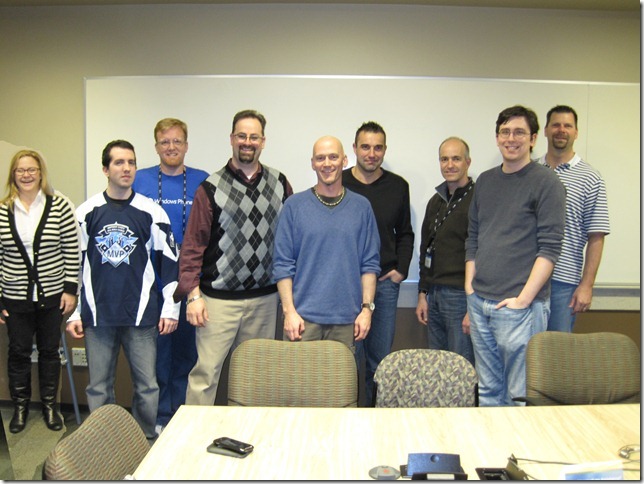 Last week Microsoft held its annual MVP Summit where it invites all the MVP’s in the world to their campus in Redmond to talk about… Stuff… This year 6 of the 10 Group Policy MVP’s in the world made it to the event where we meet up and talked about Group Policy and all sorts of other topics. Sorry to say as the content of the entire event was covered by a Non-Disclosure Agreement (a.k.a. NDA) I am not able to reveal what we talked about. 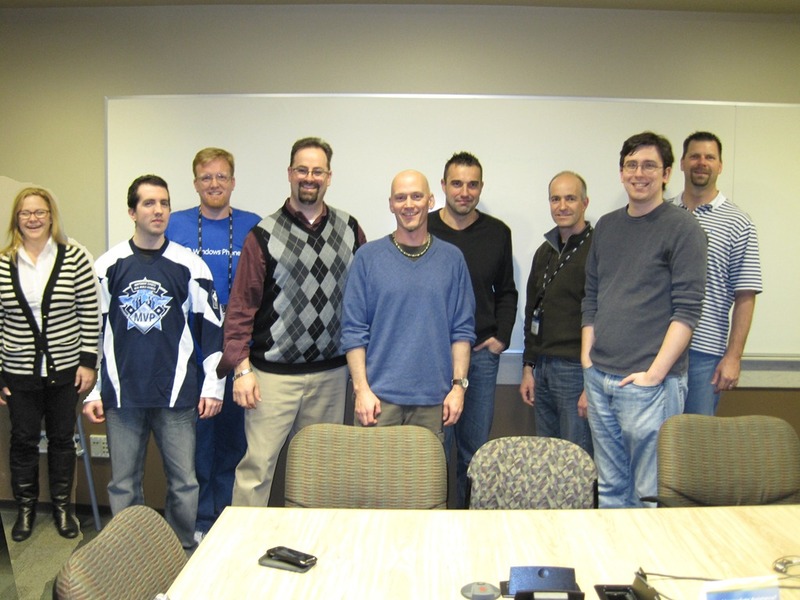 However, for the 60 minutes or so we were all (most) together in the one room I was able to get photo together for prosperity’s sake… I think its safe to say for that short amount of time we had the highest concentration of Group Policy knowledge in one world in that one room. Who’s that tall guy to your left Alan? He looks like trouble to me.